For years, there has been a small remnant of the sandstone walkway at Meher Mount that served as a path from the driveway to the guesthouse, where Avatar Meher Baba spent time with His followers in 1956. Meher Baba used this pathway, and it is one of the touchstones of His time at Meher Mount. All the buildings were destroyed in the 1985 New Life Fire, and over the years, the walkway was covered and then buried in the dirt. 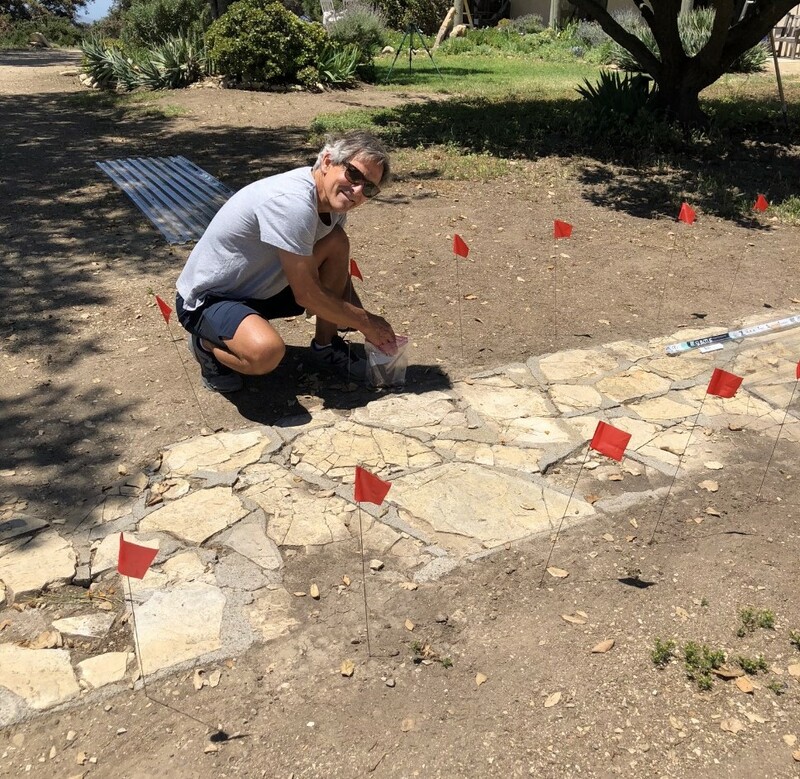 In May 2018, Interim Caretaker Cassandra Bramucci along with Eric Turk and Kyle Morrison were moved to start the archaeological work of unearthing the walkway. They uncovered almost 20 feet of sandstone walkway buried under four inches of dirt. They treated it as an archaeological dig being careful not to damage the stones and marking off the area to traffic. Now, there is an opportunity for other amateur archaeologists, who would like the chance to participate in the restoration of Baba’s Walkway, to come to Meher Mount and add their efforts. The goal is to ensure that every inch of this precious path, a path that was sanctified by the steps of Beloved Meher Baba, be preserved. Saturday, November 17, 2018, is Archaeological Dig Day for those who wish to be part of this project to preserve another Meher Baba touchstone at Meher Mount. Everyone is welcome to take part, to help set up for lunch and be part of this special project - whether or not you wish to do any actual digging. Special archaeological tools will be available along with guidance from Cassandra Bramucci and Kyle Morrison. Even if you don't see yourself actually doing the digging, come join this day of discovery. You can help set up and take down for lunch, make chai, give encouragement, take photos, and be part of the fun.